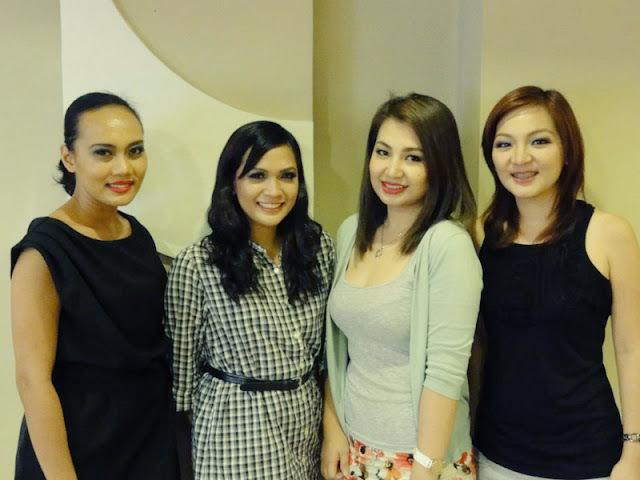 If you happen to notice, I sort of experience a lack of posts during the weekend because on those days, I was lucky to have attended the Beauty Amplified Workshop by Ms. Jean Ong. Yes, I am indeed lucky because unexpectedly I won the free slot from Julz's giveaway so I don't need to worry about paying the registration fee for a workshop. The announcement of the winner was made a few days before the workshop so when I knew it, I got excited that I immediately rushed to Gaisano Mall to buy some make-up brushes. I came into the workshop like an empty shell waiting to be filled with knowledge and techniques on how to do the proper make-up application. Even though I already had my share of experiences on putting on make-up on myself (most of the time) and on others (a few instances), I still consider myself a noob because I don't feel confident with what I'm doing. 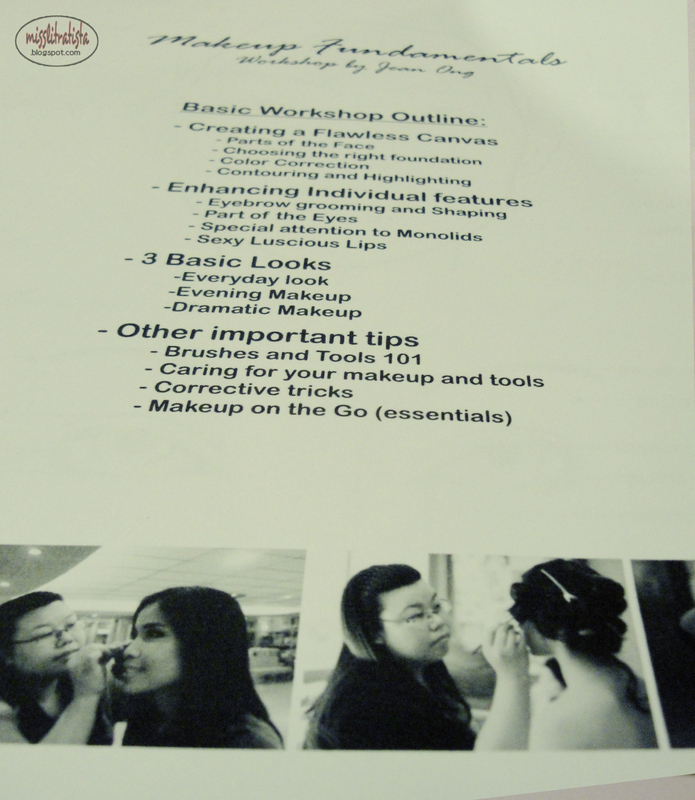 This workshop was indeed very appropriate for my intense need to learn the fundamentals of make-up. 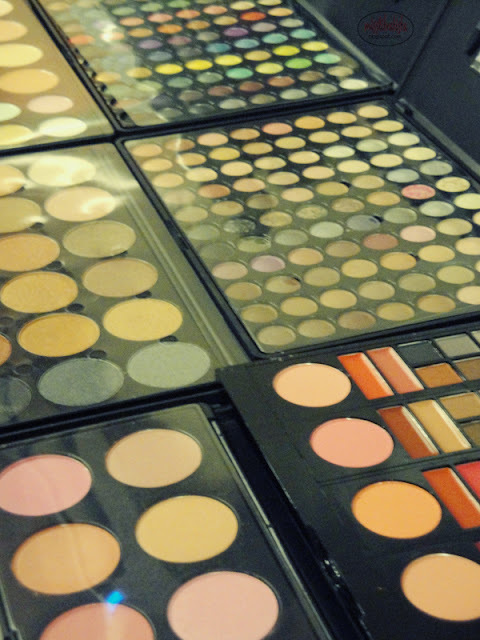 Blame it all for my love for make-up! Here is the outline of her lessons. There were only 4 of us students during the first day. I liked how Ms. Jean made it like an informal workshop or like a small group discussion because aside from me being comfortable with that kind of learning setting, she also checked on each one of us as we do our hands-on. Yes, it's a hands-on workshop so we had the chance to instantly apply what we learned theoretically. During the first day of the workshop, she discussed about the fundamentals of basic make-up application, proper grooming of eyebrows, foundation application and color corrections, and my most favorite part, highlighting and contouring. 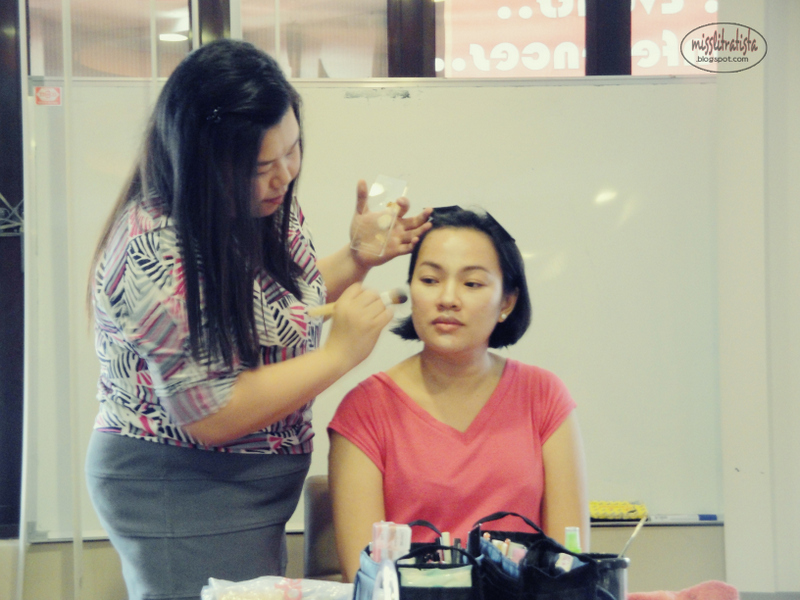 In the afternoon, we were tasked to create day and night make-up looks based on what we learned during the morning session. Ms. Jean was very helpful in demonstrating how to amplify our beauty like in my case, she allowed me to observe first how she does make-up in my one eye and allow me to replicate the look in the other eye. 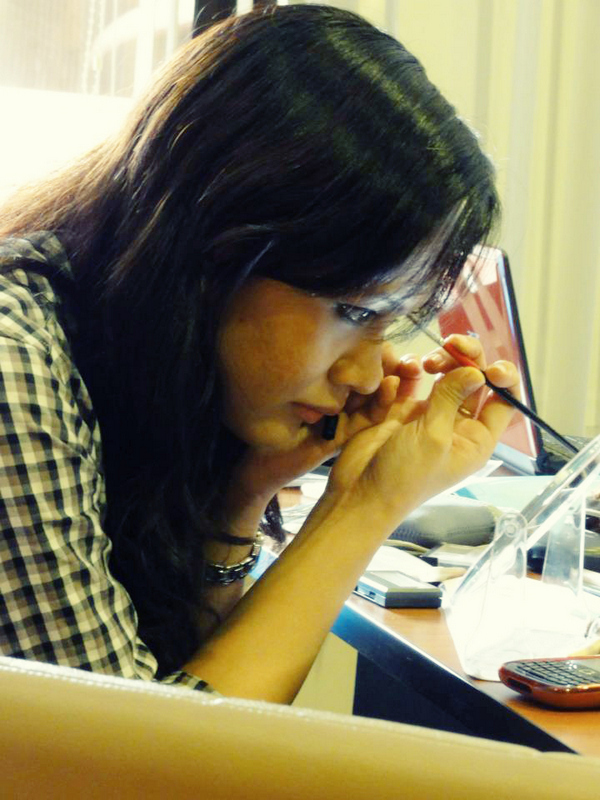 Truly intense hands-on make-up application because creating 2 different looks is not easy! Here we are showing you our night make-up looks! I really learned a lot from this workshop. It made me realize the reason that why I couldn't achieve a perfect make-up was because I was doing it wrong, as in totally wrong! 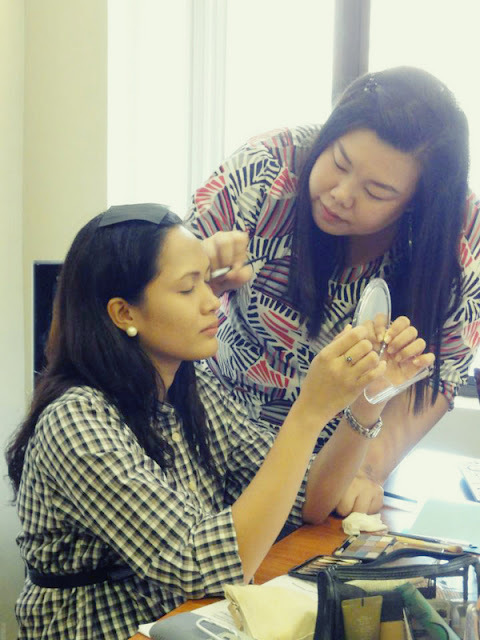 I will not go into details anymore because it's always better if you get first hand information on the right techniques for make-up application from Ms. Jean Ong herself. For information and updates on workshops, contact Ms. Jean Ong thru the mobile number indicated in the poster above. Stay tuned for I will be blogging about our day 2 experience on this workshop! P.S: Photos without my watermark are courtesy of Ms. Jean Ong. Sayang girl... was expecting pa naman to see you kasi ikaw sponsor ko... hahahahaha... mas enjoy ang day 2 kasi puro make-up hands on na lang.. parang nglalaro lang... hahahaha.. thanks so much ulit. 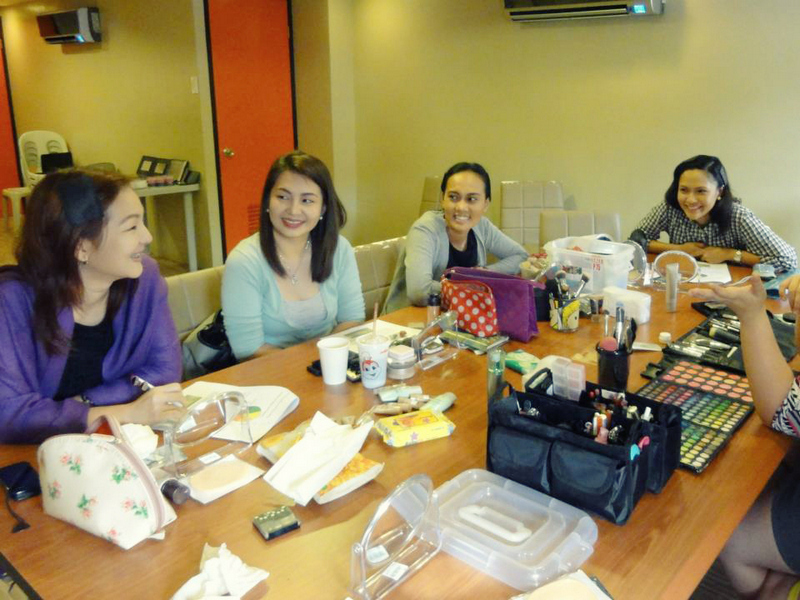 ngayon ngiipon na ako para sa mga tools and palettes kasi nakakaenjoy mglaro with make-up. super enjoy! di na kami halos maka lunch sa kaka make up. haha! Hello! Love your blog just started following! You're beautiful! Please check mine out, too! WOW! 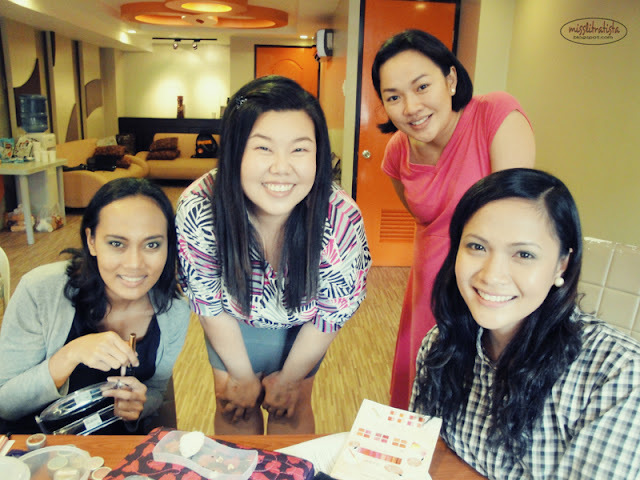 DABAWENYA :) Glad to meet a kababayan's blog. Love this event. I've always wanted to attend a seminar/workshop like this. looks like you had a blast with the workshop. thanks for droppin by my blog, followed you via GFC, I hope you follow me back. followed you back darling! :) thanks for the love! wow! 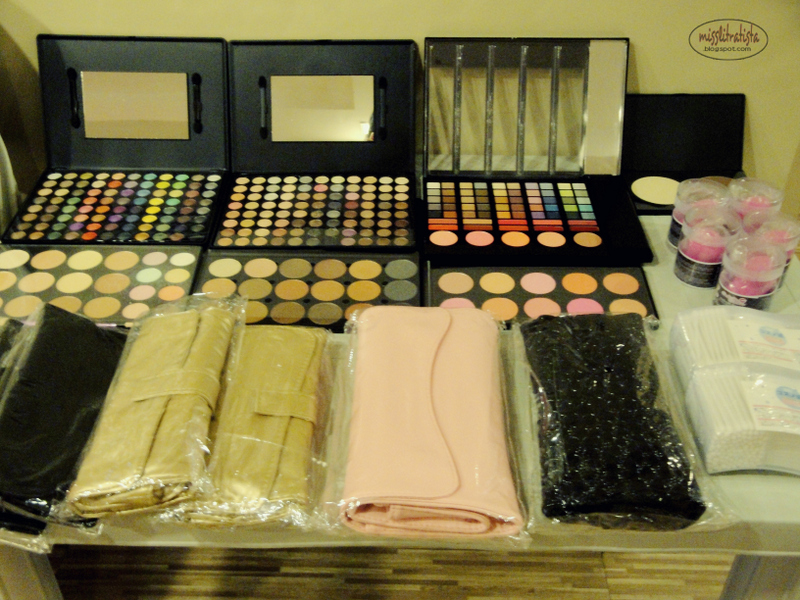 there were a LOT of makeups...drools.. It looks like you guys are having fun on the workshop..
hi there... Looks like you had fun in your workshop! 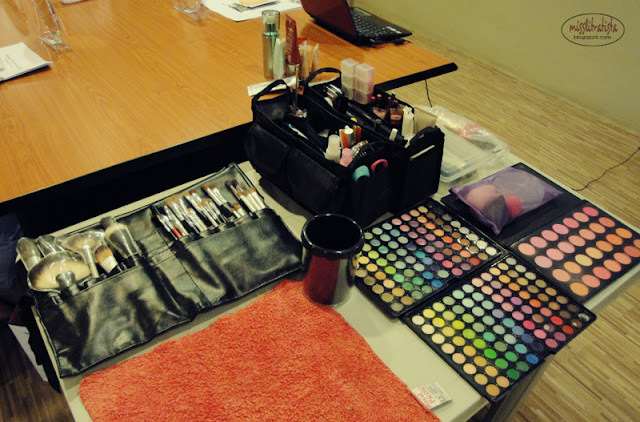 I know the importance of attending makeup workshops cause you'll really learn a lot.. nice blog also. hi girl, thanks for following... followed you back! wow,, i wish i was in phil i really to go to this kind of workshop ! !